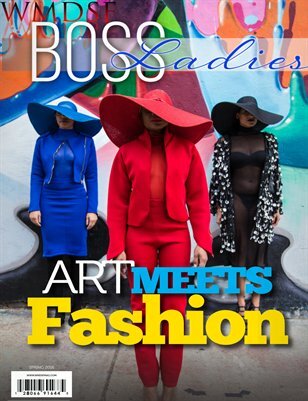 WMDSF Boss Ladies Magazine where Art Meets Fashion Edition. In this issue explore the streets of Brooklyn, NY's personal Art Gallery called The Bushwick Collective where Street Art has taken over. Nothing says Art like Fashion and every Boss Lady needs Fashion in her life, right? See how we combined the two in this Spring Edition.